The new study will help understand the Moon's geologic past. NASA has revealed how water is released on the Moon during meteor showers. The new study could come in handy during future explorations. The space agency gathered the data using Lunar Atmosphere and Dust Environment Explorer (LADEE) - a robotic mission which orbited the Moon from October 2013 to April 2014. "The Moon doesn't have significant amounts of H2O or OH in its atmosphere most of the time," Richard Elphic, the LADEE project scientist said. "But when the Moon passed through one of these meteoroid streams, enough vapor was ejected for us to detect it. And then, when the event was over, the H2O or OH went away," a NASA press release quoted Elphic. 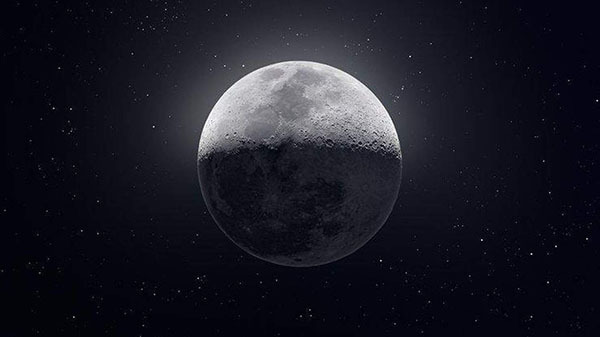 According to the space agency, the new findings will help astronomers understand the phenomenon of lunar water and will add to the understanding of the geologic past of Earth's natural satellite and its evolution. While there's enough evidence that water exists on the lunar surface, these findings will help understand the deposits of ice in cold traps that exist deep inside the craters near the poles. However, the scientists working on the project have rejected the idea that all the water found on the Moon is a result of meteoroids. "We know that some of the water must be coming from the Moon because the mass of water being released is greater than the water mass within the meteoroids coming in," Dana Hurley from Johns Hopkins University Applied Physics Laboratory, said. Debate on the origin of water on the Moon continues to take new turns. But there's no concrete explanation about the distribution of water and its quantity on the lunar surface. To unravel these mysteries, NASA is planning to send an extreme-terrain rover to explore mysterious caverns lying beneath the lunar surface. The primary aim is to look for clues to the history of the Moon.